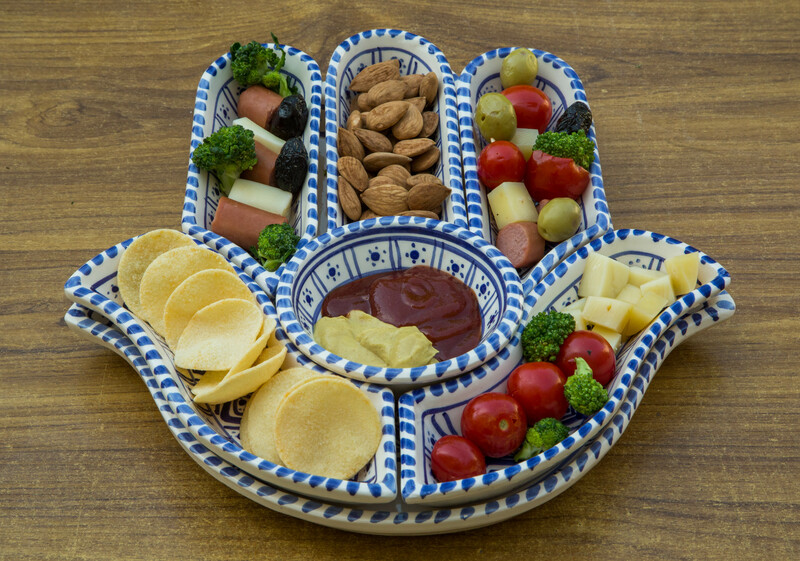 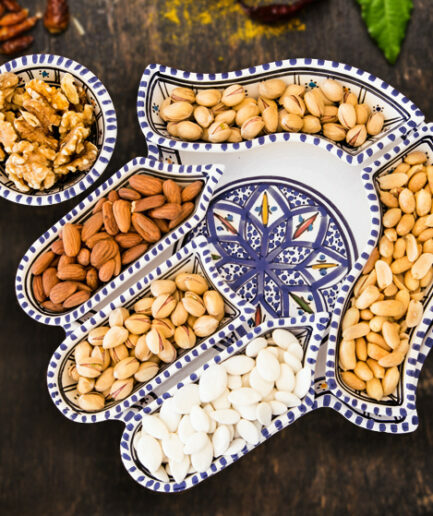 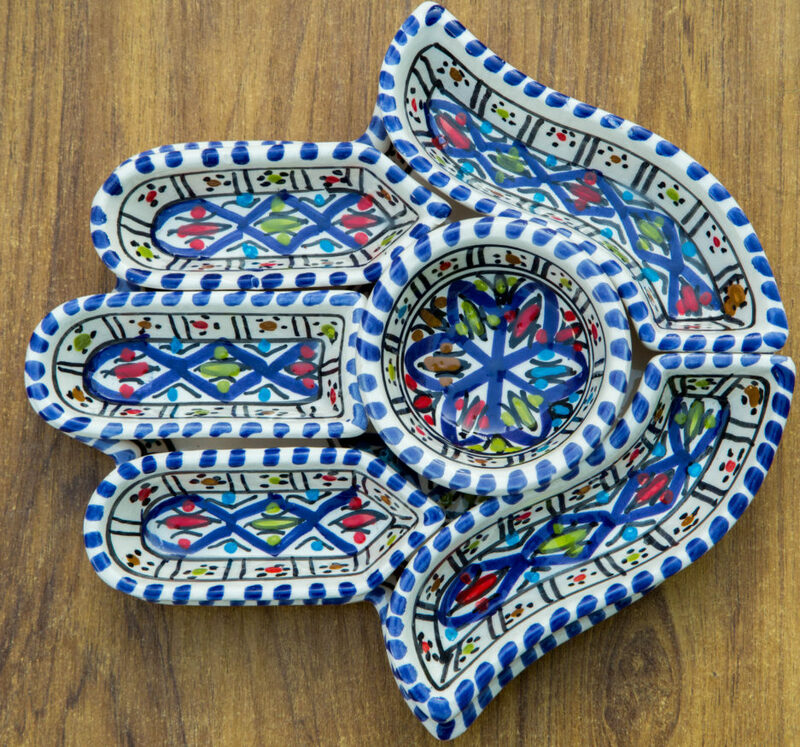 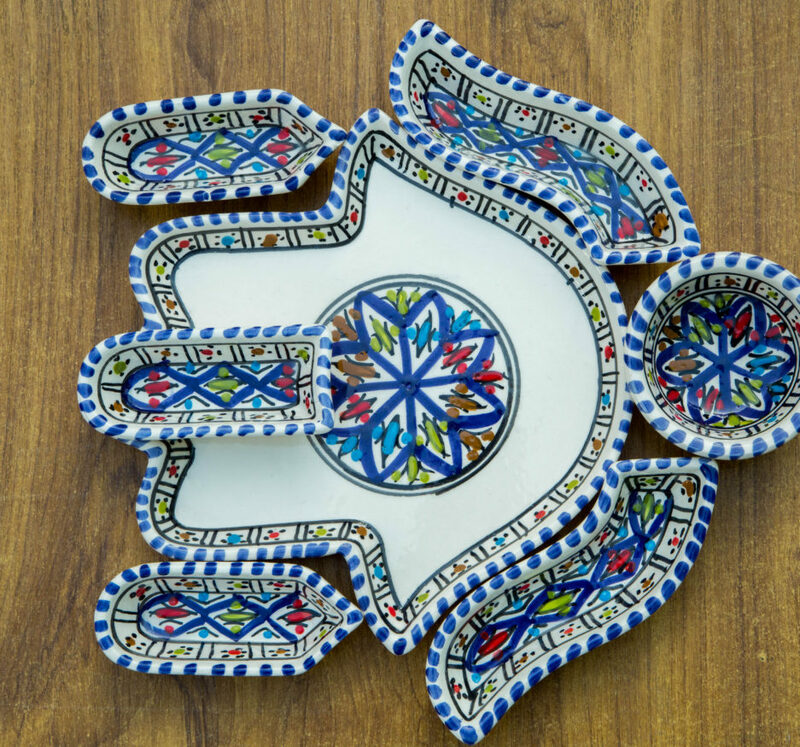 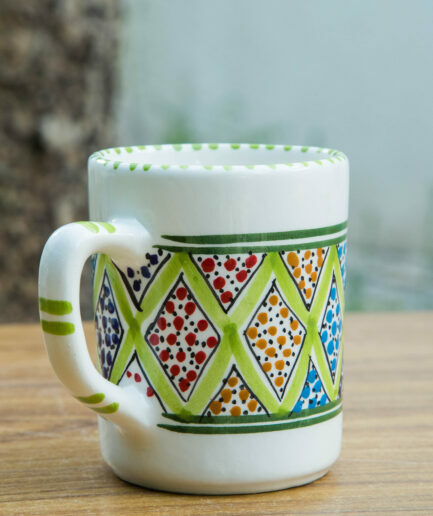 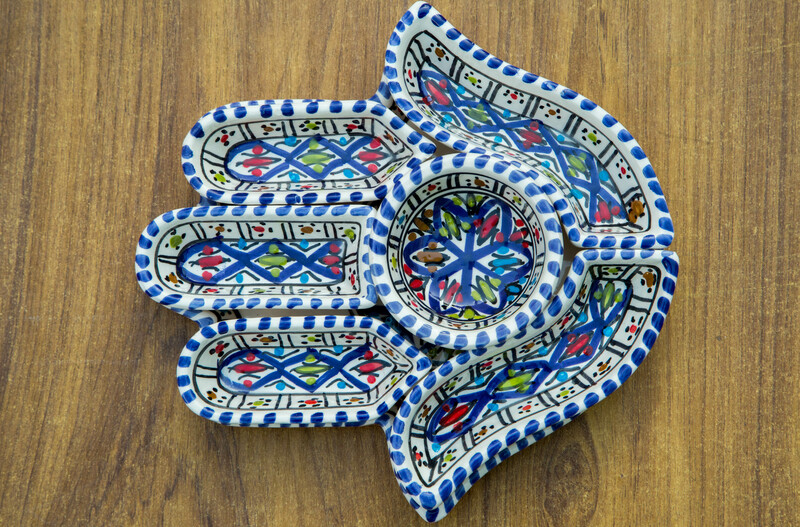 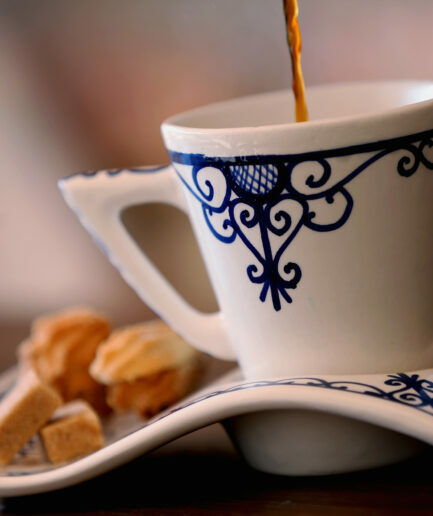 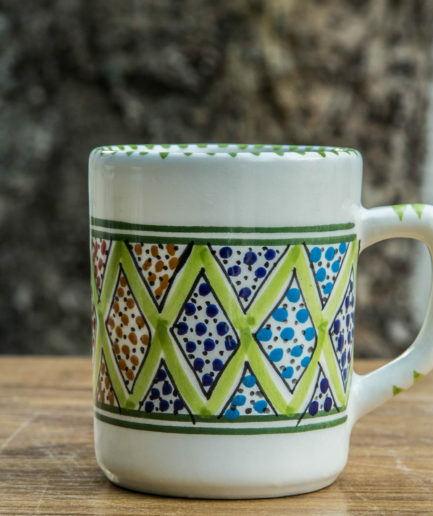 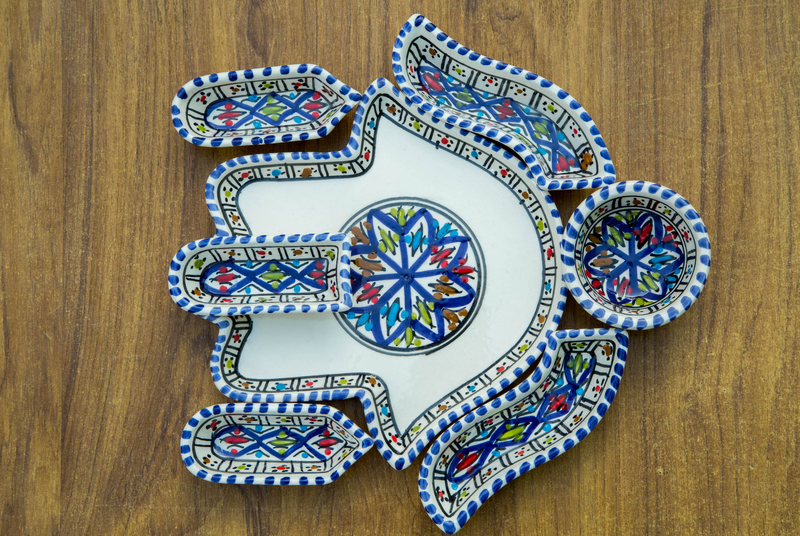 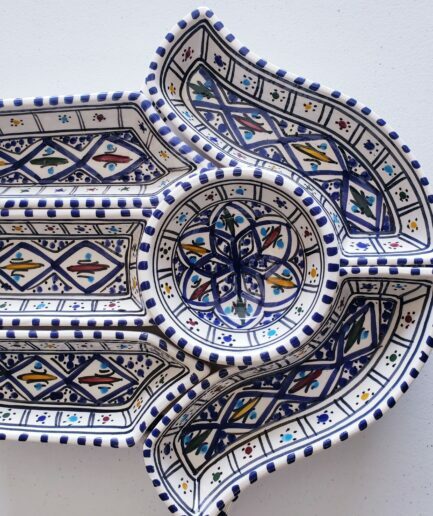 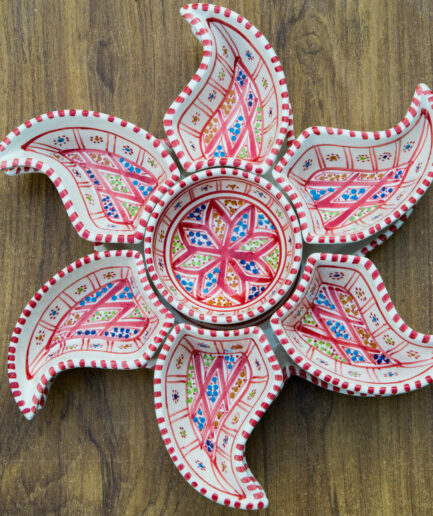 Hamsa (AKA Khamsa, kamsah, hand of Fatima, hand of Miriam), Handmade and hand-painted that breaks into 6 little plates which are the 5 fingers and the palm of the hand as well as one big plate underneath. 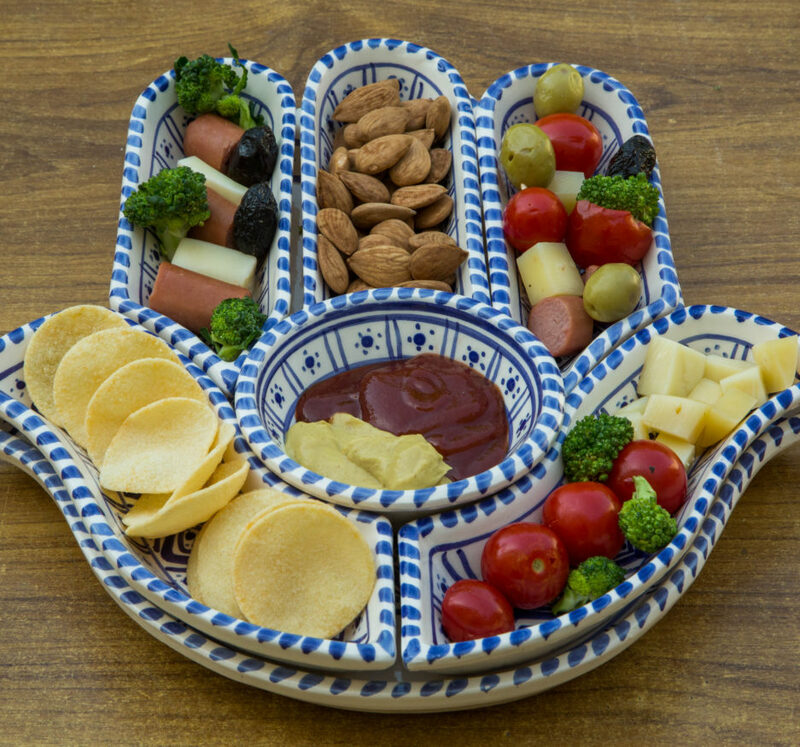 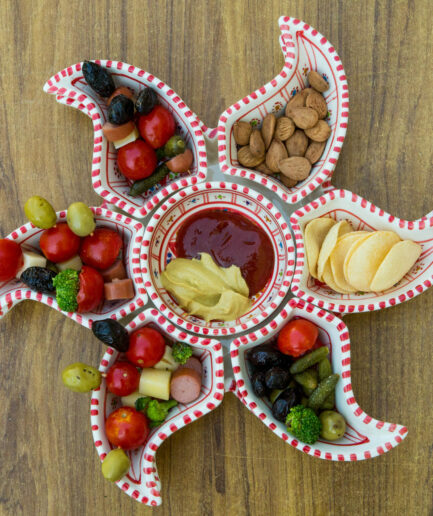 This might be used as a dipping set, or a set on which to put condiments/ nuts/ salsa & chips etc. 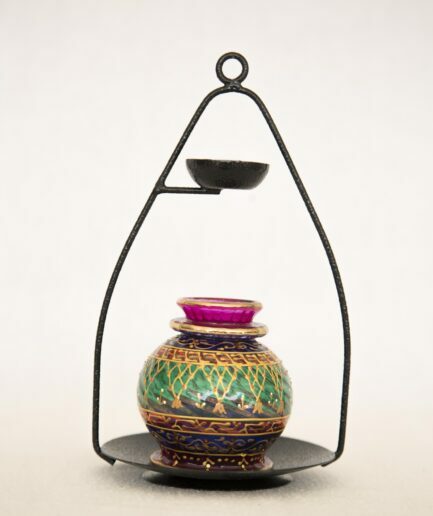 OR as a Jewelry holder.